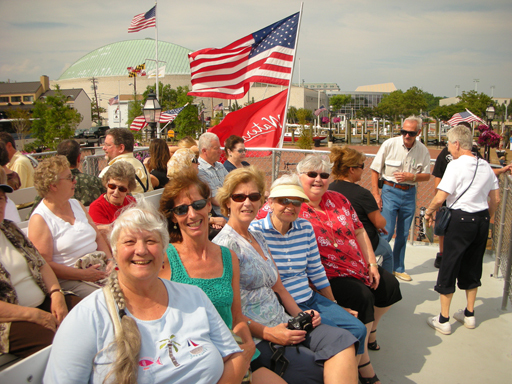 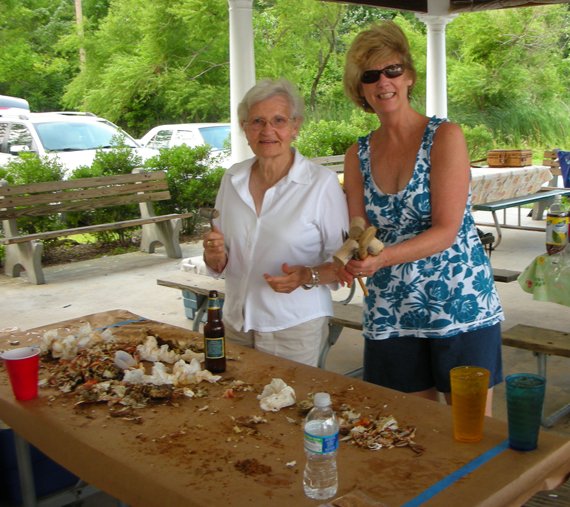 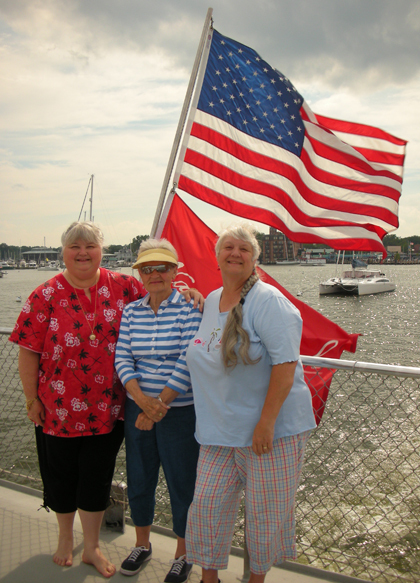 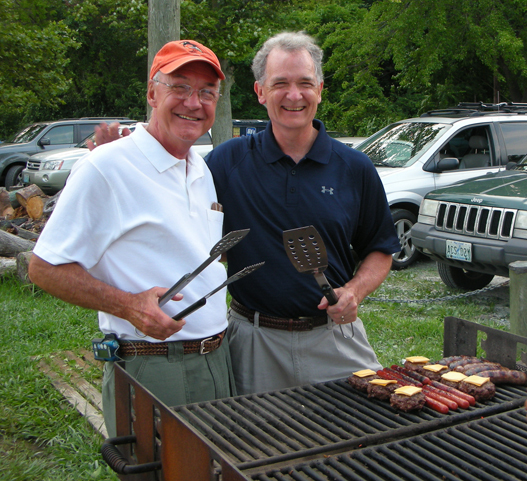 Dale organized this fabulous picnic at their beach, with boiled blue crab, shrimp, burgers, dogs & salads - yum! 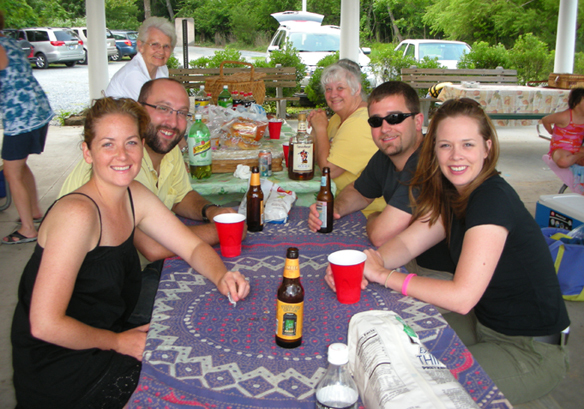 The "Kid Table" - *grin* ~*:-) from left, Erin & David, Grant & Ashley, Aunt Helyn & Roberta too! 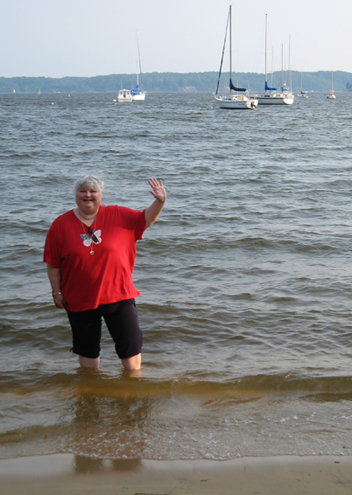 Teresa just *had* to wade in Eastern waters - this is the Severn River, flowing into the mighty Chesapeake Bay. 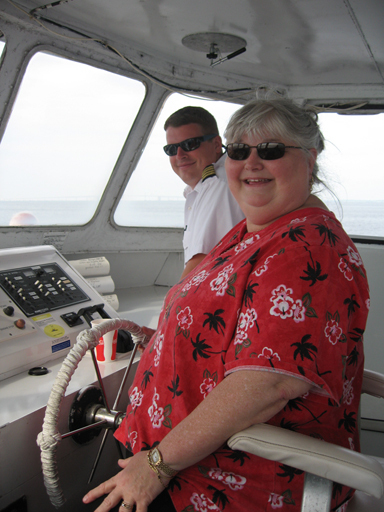 Teresa actually got to drive the 65 foot boat for several nautical miles! 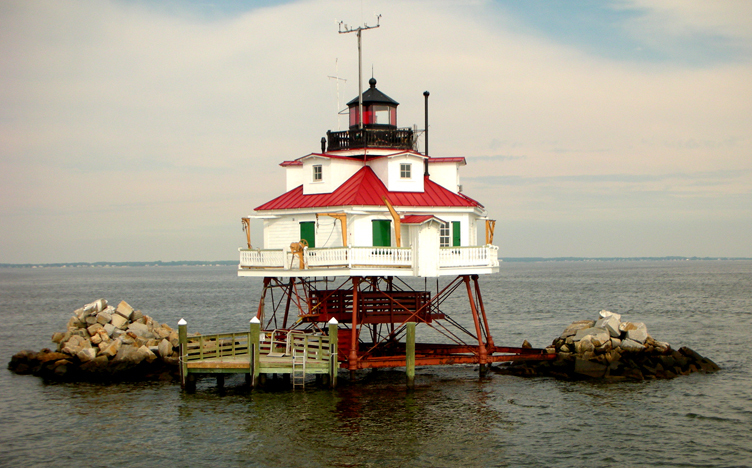 Here is a great shot of the lighthouse in the middle of the Chesapeake Bay!! 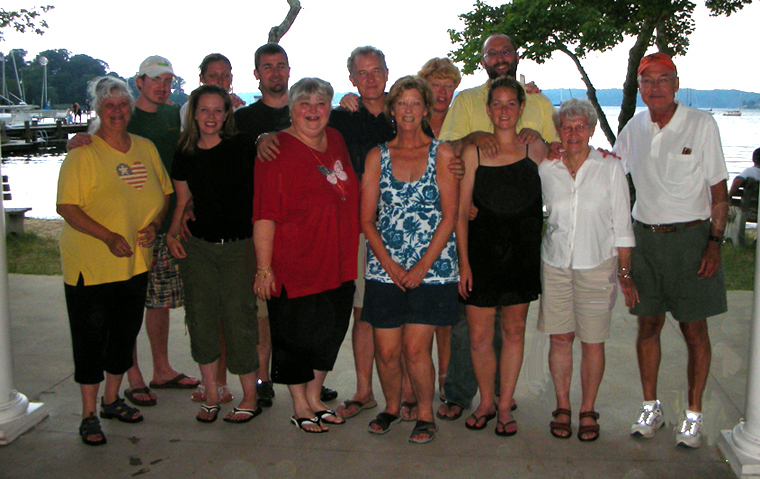 BACK - Click on Bottle to Email Teresa!